We would like to introduce you the Google Enhanced Ecommerce add-on. 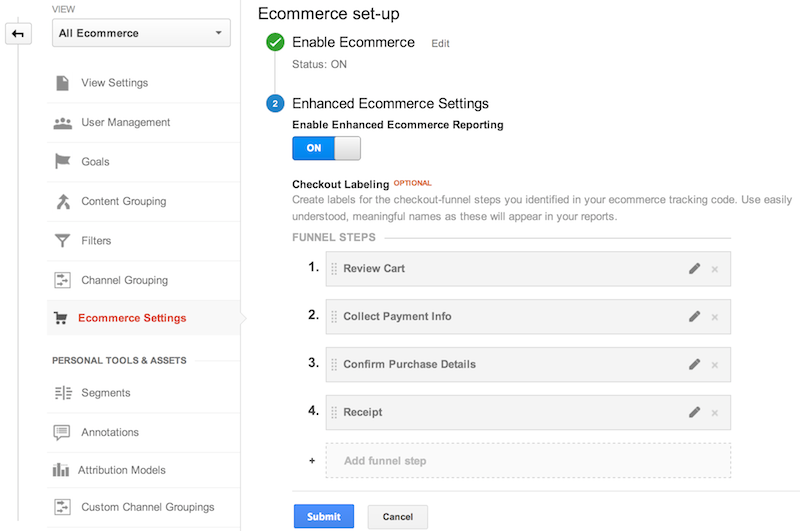 Google Enhanced Ecommerce add-on gives additional opprtunities to configure analytics, not included in default CS-Cart. 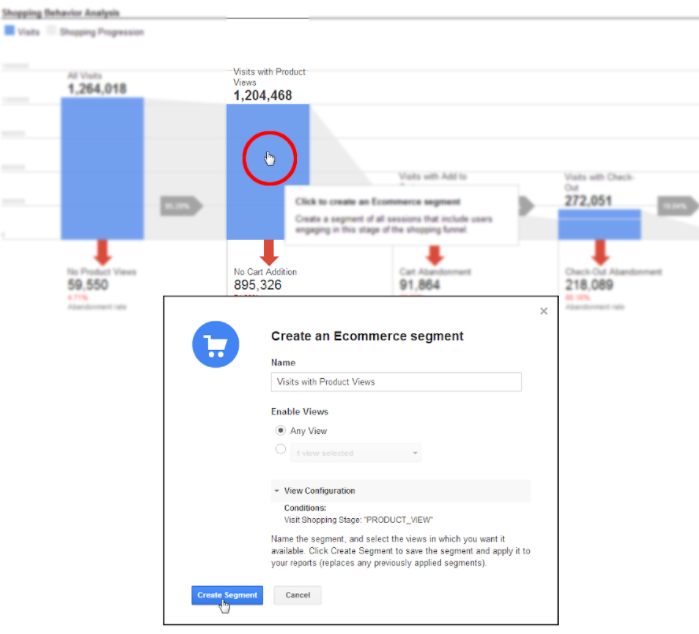 On switching the add-on and tweaking Google Analytics account you'll see not only number of product views and clicks (this data is collected with default add-on), but also stats on adding/removing product to/from cart, stats on checkout funnel steps, stats on adding to wishlist, etc. You are also able to track info on almost any event, i.e. pictures browsing (src tracking), clicking on URL (href tracking), clicking on a certain block (id tracking). The add-on has built-in system of notifications for users about stats collecting, but no personal data is sent to any third-party services. Simple config and integration with Google. Collects stats on user's actions with products. 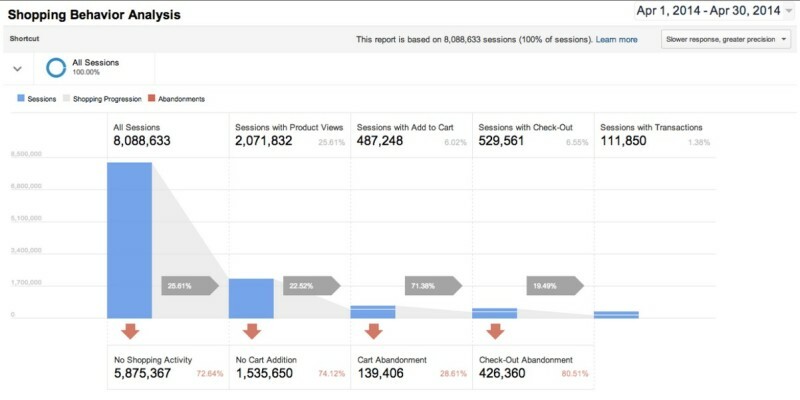 Collects stats on sales effectiveness, internal promotions, product coupons, etc. 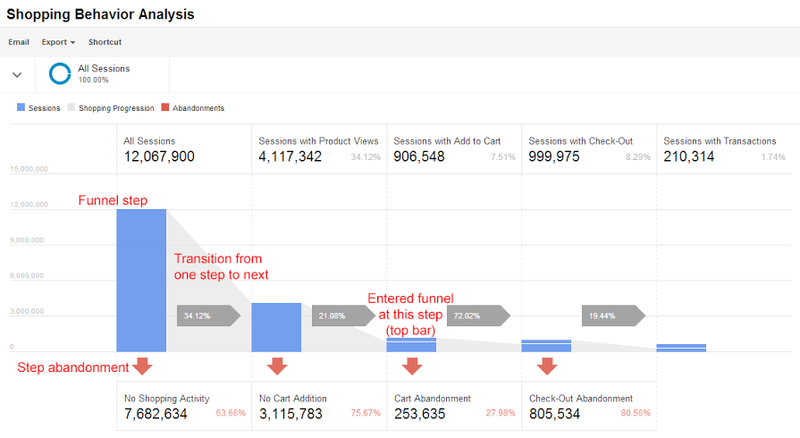 Detailed info on order funnel. Create your own events to track. Pop-up with warning about stats collecting without personal data usage. Does it send all orders regardless of it's status? I mean as long as the customer places the order it will be sent to GA? Yes, the add-on sends the information about all orders placed by regardless the order status.